Below you fill find all funeral homes and cemeteries in or near West Monroe. Suburbs of West Monroe: Cheniere, Bawcomville, Brownsville, Dean Chapel, Drew, Forest Park, Highland Park, Kiroli Woods, Lapine, Luna, Olinkraft, Siegle, Splane Place, Wall Lake. West Monroe is also known as: Ouachita Parish / West Monroe city. Zip codes in the city: 71291, 71292, 71294. Ouachita County funeral flowers can be purchased from one of the local funeral shops we partner with. For over six generations, the Mulhearn family has served the needs of Northeast Louisiana families. We strive to treat each family we serve as a part of our own. Some of the notable people born here have been: James D. Halsell (astronaut), Mike Walsworth (politician and businessperson), Larry Anderson (american football player), Stephen Babcock (lawyer), Will Blackwell (american football player), Rebecca Holloway (actor), and Chris Pinkston (sound technician). West Monroe is a city in Ouachita Parish, Louisiana, United States. It is situated on the Ouachita River, across from the neighboring city of Monroe. 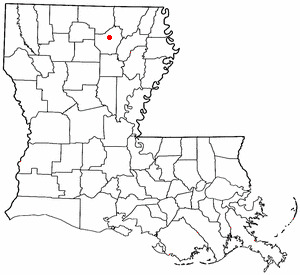 The two cities are often referred to as the Twin Cities of northeast Louisiana. Its population was 13,065 at the 2010 census and it is part of the Monroe Metropolitan Statistical Area. The mayor, Dave Norris, a Democrat, has served since July 1, 1978, and was unopposed for a tenth term in the municipal election in 2014. It was disclosed on June 6th, 2018 that William C Jr Ayers perished in West Monroe, Louisiana. Ayers was 87 years old. Send flowers to share your condolences and honor William C Jr's life. It was reported on May 25th, 2018 that Ellis Eli Sr Alford perished in West Monroe, Louisiana. Alford was 90 years old and was born in Houston, MS. Send flowers to share your condolences and honor Ellis Eli Sr's life. It was noted on January 28th, 2018 that Rebecca Eileen miss "Becky" Blitch perished in Largo, Florida. Blitch was 37 years old and was born in West Monroe, LA. Send flowers to express your sympathy and honor Rebecca Eileen miss "Becky"'s life. It was reported on December 28th, 2017 that James V Ledford died in West Monroe, Louisiana. Ledford was 64 years old. Send flowers to express your sympathy and honor James V's life. It was noted by The Daily Herald on March 5th, 2017 that Tara D Steurer (Black) passed away in South Elgin, Illinois. Ms. Steurer was 45 years old and was born in West Monroe, LA. Send flowers to share your condolences and honor Tara D's life. It was written on January 21st, 2017 that Vivian Elizabeth O'Riley (Koons) passed away in West Monroe, Louisiana. Ms. O'Riley was 95 years old and was born in Hutchinson, KS. Send flowers to express your sympathy and honor Vivian Elizabeth's life. It was noted on August 30th, 2016 that Betty Benson (Roller) died in West Monroe, Louisiana. Ms. Benson was 82 years old and was born in Wheaton, MO. Send flowers to express your sympathy and honor Betty's life. It was written by The Times at Shreveport La on July 15th, 2016 that William III "Bill" Norris died in West Monroe, Louisiana. Norris was 79 years old. Send flowers to express your sympathy and honor William III "Bill"'s life. It was reported on June 5th, 2015 that Thomas P Sr "Tommy" Stroud passed away in West Monroe, Louisiana. Stroud was 84 years old and was born in Duplin County, NC. Send flowers to express your sympathy and honor Thomas P Sr "Tommy"'s life. It was reported on February 25th, 2015 that Mamie White (Lick) perished in West Monroe, Louisiana. Ms. White was 89 years old and was born in Humphreys Co, MS. Send flowers to express your sympathy and honor Mamie's life. The population was 13,250 at the 2000 United States Census census. It is part of the Monroe, Louisiana Monroe, Louisiana metropolitan area Statistical Area. West Monroe is a city in Ouachita Parish, Louisiana Parish, Louisiana, United States. . . The official website for the city of West Monroe is http://westmonroe.com/. Need flowers delivered to a funeral home? It's easy to find a WEST MONROE, LA funeral home from this list and call ALL OCCASIONS FLOWERS AND GIFTS. Griffin Funeral Home, West Monroe, LA : Reviews and maps - Yahoo! Local, 318.396.3191. Get Ratings, Reviews, Photos and more on Yahoo! Local. We work with local florists and flower shops to offer same day delivery. You will find budget sympathy flowers in West Monroe here. Our funeral flowers are cheap in price but not in value.